Dogecoin is a peer-to-peer cryptocurrency that was launched as a joke coin in December 2013. Approximately 100 billion Dogecoin’s are currently in circulation and the coin boasts a market capitalisation of over $300 million. 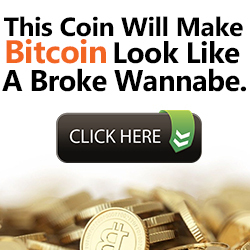 As with other crypto currencies, it is possible to earn money by mining for Dogecoins. I this article we’ll focus specifically on how to mine dogecoin, including the hardware and software you’ll need. If you’re interested in learning about how you can profit from trading crypto currencies, you might want to consider enrolling in a crypto currency trading course. Many people think that it is easier to get started mining Dogecoin compared to other coins as it is less compute intensive. As with all cryptocurrency mining, a reliable source of cheap electricity is the most important resource and then, with just a PC and access to the Internet, you can start Dogecoin mining. 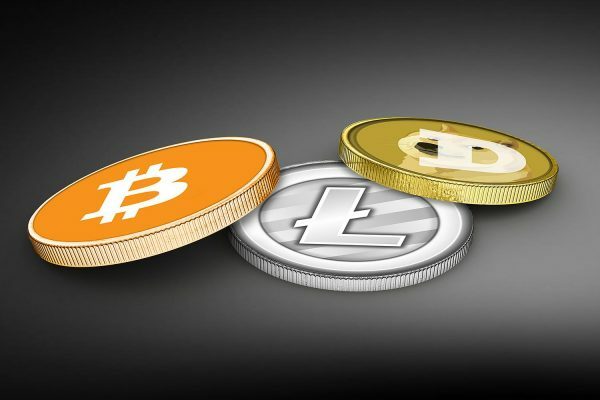 The hardware requirements needed to mine Dogecoin are very similar to that needed to mine Litecoin, so should you have a rig that is suitable for Litecoin it can easily be converted to a Dogecoin rig. GPU – It is possible to mine for Dogecoin without a graphics card, but the process will be slow and you will not see the results as fast as you would if you included a good graphics card in your setup. Many miners believe that the graphics card should be the most important element of your mining rig. Graphics cards recommended for a start-up rig have a capability of running at 450 kh/s. Power – The next critical element of your rig is an adequate power supply. If you only have one graphics card, your power supply will need to be a minimum of 750 watts, increasing with every graphics card added (four graphics cards will require at least a 1300 watt power supply). Motherboard – The third crucial element is the motherboard. Ensure you have enough slots for the number of graphics cards you have and if you plan to expand your rig over time, make sure the motherboard allows for growth. Other elements that you will need to build your rig are the CPU’s (minimum of 200 kh/sec is advised), RAM and hard drive with operating system. Once you have your rig set up you need to download a wallet that keeps your Dogecoin’s on your computer for you. You can find a wallet on the Dogecoin.com site (Dogecoinqt.exc), which once downloaded needs to be synchronised with the Dogecoin network. You will also need to download mining software, such as CG miner, Minergate, BFG Miner, CudaMiner. Other options and a description of the software can be found here. Once you have installed the software and created files where necessary, you are ready to start mining. Many miners prefer to join a Dogecoin mining pool rather than mine solo. Combining the resources of your rig with other miners increases the speed at which transactions can be solved and payments are recognised. The downside of pool mining is that the profits are divided amongst all the miners that take part and the pools will often take a management fee as well. However, with the amount of miner’s currently active across all the cryptocurrencies, unless you have a very powerful rig, the results of mining alone are often not profitable as you cannot compete with the mining pools. To calculate the profitability of Dogecoin Mining, use the calculator found at https://whattomine.com/coins/6-doge-scrypt. Solo mining has become increasingly difficult as worldwide interest in cryptocurrencies has grown. More and more people are now looking to mining pools to help improve their mining capability. But with so many available, how do you decide which is best? In this article we’ll cover some of the top Dogecoin mining pools for 2018, and the pros and cons of each. INTERESTED IN JOINING A CRYPTO MINING MASTERMIND? REGISTER YOUR INTEREST HERE. Dogecoin is one of the altcoins that launched following the success of Bitcoin which sparked a global interest in cryptocurrency. Dogecoin was originally launched as a joke coin with the image of Doge, famous from online meme’s, as its logo. Dogecoin had unexpected success and now boasts a market capitalisation of over $2 billion and is popular among investors and miners. Dogecoin is currently the third most popular cryptocurrency after Bitcoin and Litecoin in terms of volume of transactions. As with other cryptocurrencies, Dogecoin mining requires the miner to have an appropriate mining rig. Dogecoin is based on Litecoin so the mining rig needs to be able to mine script-based coins. However, as the number of miners participating in resolving blocks has increased dramatically over the past few years, it has become increasingly difficult for solo-miners to compete for transactions to complete, resulting in the rising popularity of doge mining pools, where miners combine their CPU power to complete transactions more effectively and generate revenue faster. Before joining a dogecoin pool it is important that miners research the security of the mining pool as well as the manner in which they calculate rewards. Some mining pools focus only on specific cryptocurrencies and some allow for multiple currencies to be mined. Before you start mining for Dogecoin, calculate the possible profitability with this mining calculator. Pools will also use a variety of payment methods, such as PPS+ vs PPLNS, so be sure you fully understand how you get paid before you start. Check out the full article on how to mine dogecoin. Prohashing: ( https://prohashing.com/). This is one of the few mining pools that will actually pay out in Dogecoin. 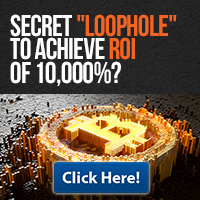 Most of the pools will covert the coins generated into Bitcoin or Litecoin. With about 16,000 miners active on the site, Prohashing merge mines for coins and then pays directly into your bank account. Multipool: (https://www.multipool.us/dashboard/pool/doge). With over 13 million Dogecoins paid out, this doge pool offers a variety of different altcoins as well as Bitcoin and Litecoin for mining and payment. Hashfaster: (http://doge.hashfaster.com/) is a multicoin mining pool that keeps miners anonymous. Payouts are made every two hours if the balance is high enough or alternatively on a Sunday. With about 775 active miners, this is small pool that focuses on the less well know script based altcoins. Just over 10,000 Dogecoins have been mined on this site. 1Coinpool: (https://1coinpool.com/). Using a PPPS (proportional pay per share) model, this pool offers miners Dogecoin, Zcash, Ethereum and Litecoin mining pools. Aikapool: (https://aikapool.com/doge/index.php?page=login). 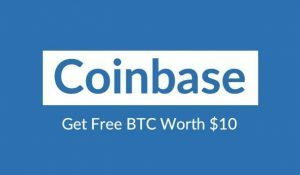 A mining pool that offers free registration and has about 45 active miners. Miners are rewarded on a PROP system (proportional) where there is no risk to the pool operator as the system pays only when a block is found. We’re written about other pools in the past, check these posts for more info on ETH mining pools, or LTC mining pools. Although the above list does not cover all the pools available for mining Dogecoin, these are the pools that have the most mentions. For more information on the currency, the story behind the coin and the meme and for details on how to get started and download a wallet, visit the Dogecoin website on http://dogecoin.com/. Cryptocurrencies have become increasingly popular over the past few weeks, but most people would admit to knowing very little beyond bitcoin and Ether. This article will introduce dogecoin, one of the many alternatives, before focusing on dogecoin mining. Dogecoin is a P2P (peer to peer) cryptocurrency that was launched in December 2013. Originally launched as a joke coin with the image of the dog from the meme with the same name, Dogecoin unexpectedly gained popularity and reached a market capitalisation of $308 million by December 2017. Dogecoin has about 100 billion coins in circulation and while it not used in commercial application to the degree that Bitcoin is, it has popularity as a cryptocurrency used for tipping people on the Internet. Currently a crowdfunding effort is in place to create a gold coin with the Doge image on, which will be sent to the moon, resulting in the phrase “To the Moon” being used to express the unexpected growth of the currency. Like other more mainstream cryptocurrencies, Dogecoin is anonymous, decentralised and a secure form of making Internet payments. Dogecoin sees its community of users as fun and friendly and is linked to the Dogecoin foundation (http://foundation.dogecoin.com), which raises funds for charities and supports non-profit organisations. The Shibu Inu dog, the Dogecoin logo, is a small Japanese dog which became famous for memes on Tumblr in 2005 after a teacher posted pictures of his adopted dog with logo’s. To start using Dogecoin as a currency, users will need to download a wallet, buy some Dogecoins and then they are set to start trading. Dogecoin is currently one of the most popular cryptocurrencies alongside Bitcoin, Litecoin and Ether, but unlike Bitcoin, Dogecoin continuously adds coins to the market instead of having a limited supply. This means the value of Dogecoin is far lower than that of Bitcoin and the value will continue to drop as more coins come into circulation. Dogecoin is simple to mine and all that is needed to get started is a PC, access to electricity and the Internet and one or more graphics cards. The more CPU you have the more successful your mining will be and even though it is possible to mine without a graphics card, the results will be slower. There are many pools that miners can join to mine Dogecoins. The benefits of using a dogecoin mining pool versus solo mining is the combined processing power of the miners in the pool results in more completed transactions and a faster generation of revenue. There are pools that focus only on Dogecoin and those that mine for multiple cryptocurrencies such as Bitcoin, Litecoin and Dogecoin. In a recent poll on bitcointalk.org the most popular pool for mining Dogecoins is doge.poolerino.com with almost 30% of the votes. 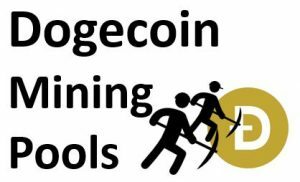 Cryptomining-blog.com (http://cryptomining-blog.com/tag/dogecoin-pools/) has a detailed list of all the mining pools that mine for Dogecoin. There is much speculation about the value of Dogecoin into 2018 and beyond. With the release of additional coins into the market the price is expected to drop, but there is allot of positive commentary about the future of the coin. For some additional reading on the predictions of Dogecoin, the following sites have some interesting debates on the subject. Where Can I Buy Ether?